Availability: Usually ships in 4 to 6 weeks. The mule deer fork oval mirror consists of approximately 100 forks and is 28inch wide x 32inch tall. Custom orders are available for both style mirrors. As each order is custom and handbuilt, it could take 4 to 6 weeks to ship. Also, if you desire a smaller or larger mirror, or different mirror arrangements, please call us. 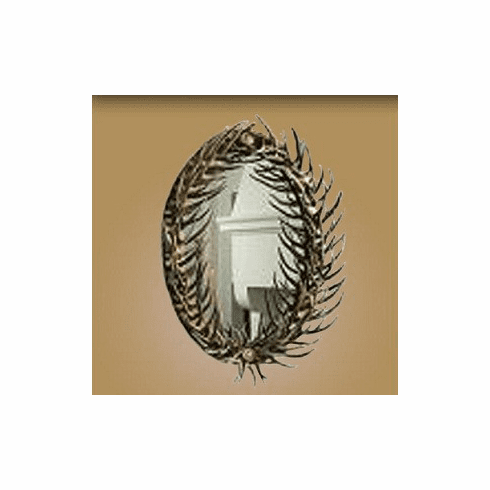 We will do our best to customize your mirror for your specific room. Please also allow for certain natural differences in all antler products.